Julie is a global educator, innovator, leader and author. She has led the way in technology-infused connections and collaborations across six countries including Africa, Asia and the Middle East. As an IT Director in international schools, she implemented 1:1 learning and worked with teachers from K-12 on pedagogical applications for mobile and ubiquitous computing. She also developed a unique approach to global collaboration using Web 2.0 tools and connected learning approaches. 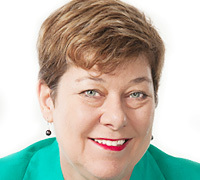 Now back in Australia as a consultant, presenter, workshop leader and conference designer, she is busy as Director of Learning Confluence, founder of Flat Connections, Global Collaboration Consultant for THINK Global School and Adjunct Lecturer at Charles Sturt University, Faculty of Education. Julie is completing her EdD at the University of Southern Queensland with a focus on facilitating positive social change through effective pedagogy for technology-infused collaboration.